*Disclosure: I am working in partnership with Omaha Steaks as an ambassador. I am compensated for sharing this information with you. All opinions are 100% my own. 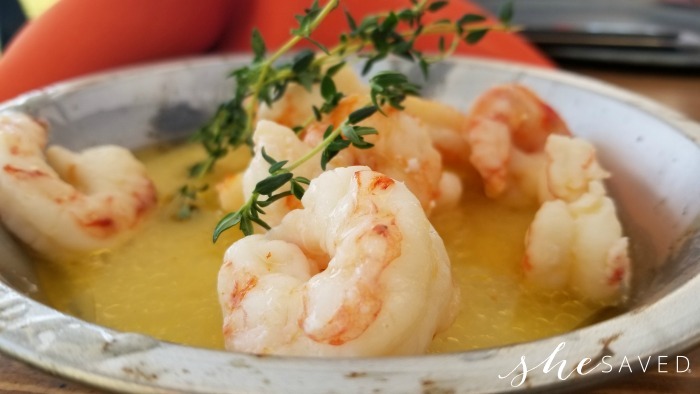 I shared with you a few weeks ago that I signed on as an Omaha Steaks Ambassador. I’m pretty picky about the brands that I will get behind and this is a partnership that I’m very proud of, especially after spending the past week with them in Omaha, Nebraska. I wasn’t quite sure what I was getting into. 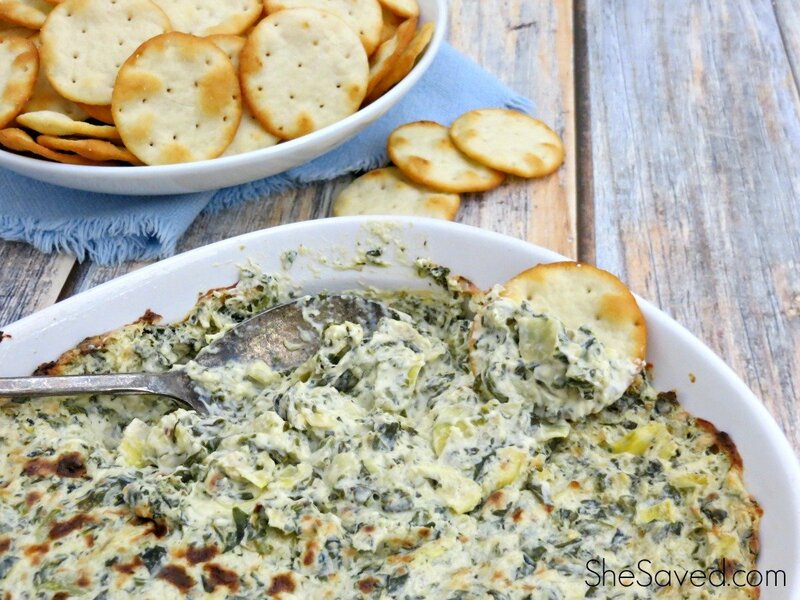 As you might know, I married into a ranch family. We raise our own beef right here on our place and I’ve always been very active and vocal about my support of agriculture and #NoFarmsNoFood. 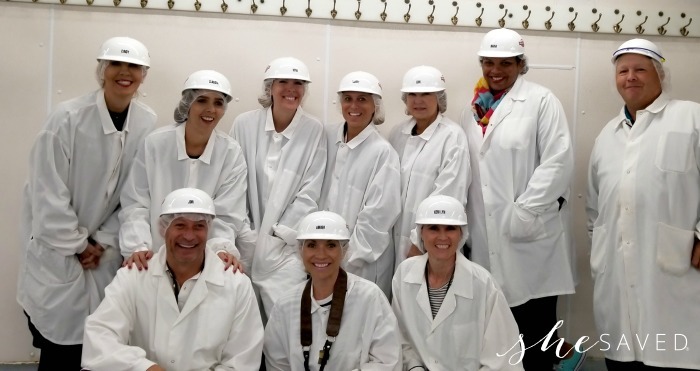 As part of this ambassador program, we spend 5 days spending time with the people behind the scenes at Omaha Steaks: the farmers, the butchers, the employees at both the shipping facility and the Omaha Steaks store. We were even treated to a few Omaha Steak dinners to try all of their products. 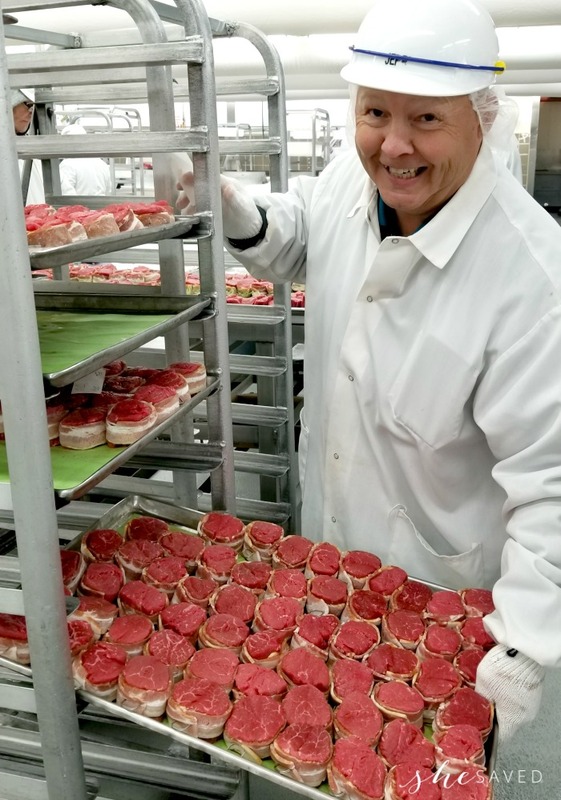 One morning we had the chance to work with butchers Oscar and Mark (shown above) to cut our own steaks which we were served at dinner later that evening on one of the family farms that provides products to Omaha Steaks. The dinner on the family farm was a highlight of the trip for me. 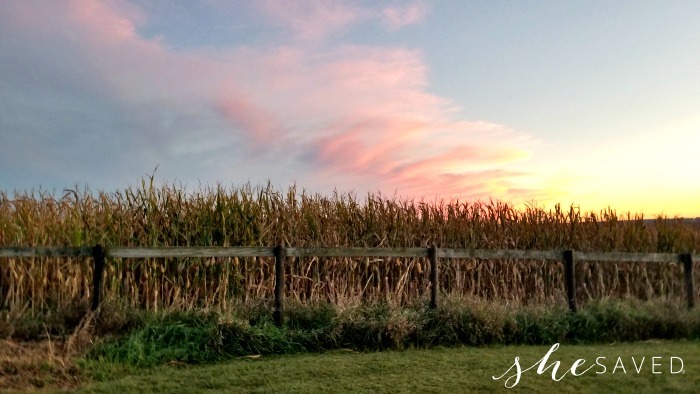 We literally broke bread with the members of a 6th generation family farm as we sat near their cornfield and learned about their passion for farming and their love for their lifestyle. 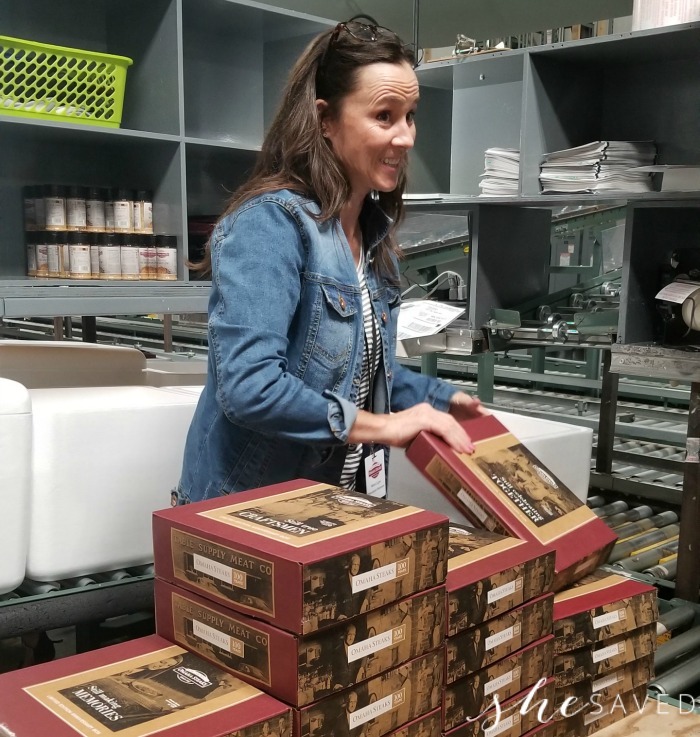 It all provided me with wonderful insight into how much goes into the products at Omaha Steaks and reaffirmed my belief that the people and passions behind a brand are what makes it wonderful. As someone who married into a ranching family, I know well that there is nothing easy about farm life. It is something that people choose because they love it. They love the lifestyle and they love the land. Knowing and meeting the ranchers that provide product to Omaha Steaks makes me love this brand even more. I sat with them and shared a meal and heard the passion and pride in their voices as they shared with us how they run their operations. We went through every step of the process from the feedlot to the packing and shipping facility. I met people that have worked at Omaha Steaks their entire lives. I met the owners of the company and they welcomed us in with open arms. I even cut my own steak for morning for dinner later that night! I definitely left Omaha with a full and happy heart. This was my first visit to Omaha and I am in love with this city and so thrilled to be an Omaha Steaks Ambassador with an amazing group of people. 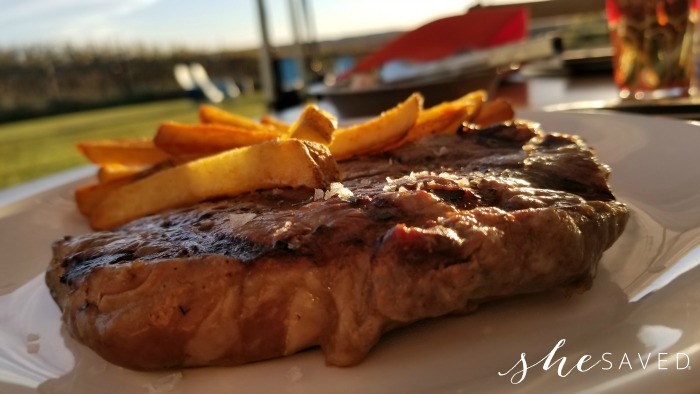 I can’t wait to share more of my adventures with you, but thought I’d start today by sharing some of my favorite products and Omaha Steak deals! For me, part of being a brand ambassador is sharing the story behind the brand, and making sure that their mission aligns with my beliefs and lifestyle. I’m truly amazed and excited about all that I’ve learned and will be sharing with you, including some amazing ways to simply your life with some great food products, but more than that… a brand that had a rich history and takes great pride in creating a quality product. I’m putting dessert first here, but can you blame me? Hands down, my favorite Omaha Steaks Caramel Apple Tartlet. 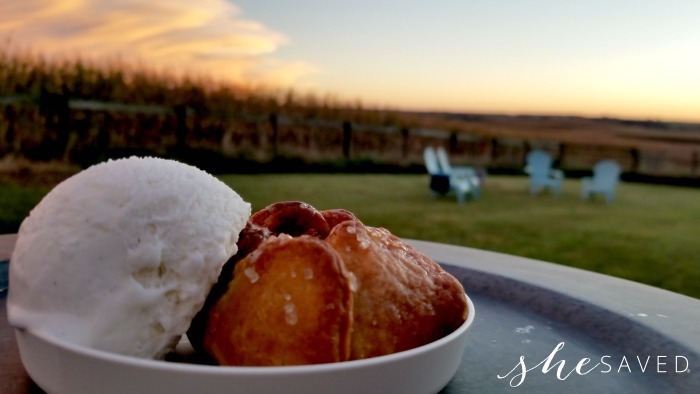 First of all, these delicious little gems (also available in Triple Berry Tartlets) have been made for Omaha Steaks by the same family for years and years! 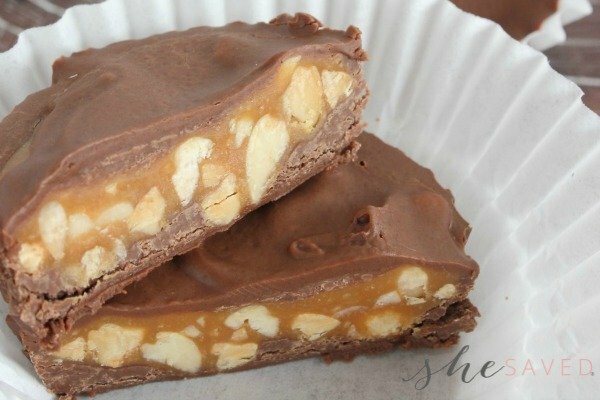 These are an item that would be wonderful to have on hand to pull out for dessert on a moments notice, add a little ice cream and they are pure heaven. And of course, the meal was complete with my gorgeous Ribeye Steak that I had personally cut earlier that morning. Honestly, one of the most amazing dinners that I’ve ever had and I can tell you from the bottom of my heart, it was that much more special having known the story behind the brand and the fact that this company was running on 5 generations of passion for this product and the people it was produced for: the customers. During our tour with Plant Manager Jerry Rempe, he said something that really stuck with me. 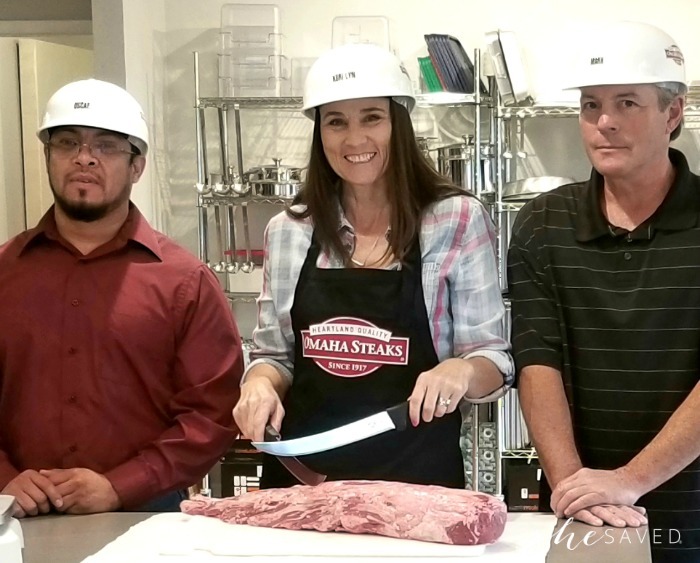 He said, “If we make our employees a priority, they make our customers a priority.” That right there summed up what I witnessed and experienced throughout my time at Omaha Steaks. I mentioned these a few weeks ago, but we’ve been making these quite a bit since the kids have been back in school and they are worth mentioning! These new Omaha Steaks Butcher’s Breakfast Skillet Meals from Omaha Steaks make breakfast so simple, and my family LOVES them! One of my favorite things about these new Omaha Steaks Butcher’s Breakfast Skillet Meals is that they are packed with plenty of premium Omaha Steaks meat and go from freezer-to-table in 15-minutes or less. To celebrate the launch, the company is offering any breakfast meal for just $1, for one day only, on Aug. 15. Customers looking for a quick high-quality breakfast solution, packed with protein, can stop by one of Omaha Steaks 62 retail stores across the country to pick-up any breakfast meal for $1, limit one meal for $1 per household while supplies last. Each additional meal is just $9.99. Meat Lover’s– a trio of juicy, flavorful pork favorites that start your day right. The meal has plenty of lean pork sausage, all-natural ham, and uncured bacon, plus roasted red potatoes, peppers, and onions in a perfectly seasoned gravy. Chorizo & Sweet Potato Hash– flavorful all-natural chorizo sausage front and center in a hearty meal. Our Chorizo is a spicy pork sausage made with paprika and chiles (and no artificial ingredients), and it’s served with sweet potato, red peppers and onions. Ranchero Steak & Beans– perfectly seasoned steak and savory uncured bacon, and a colorful, flavorful blend of chilies, tomatoes, veggies, and spices. My favorite? The Chorizo & Sweet Potato Hash hands down, it’s amazing!! Currently running a sweet special on their steaks where you can get a Buy One Get One Free Steak deal on quite a large selection of cuts. That works out to be a pretty sweet deal and might be a great way to try these products. 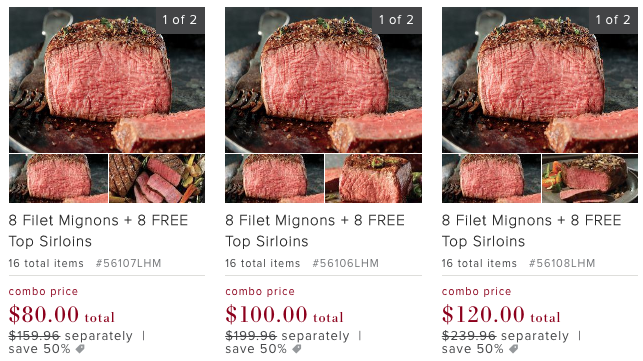 Another offer that really stood out to me are the Omaha Steaks Value Assortment Packages. 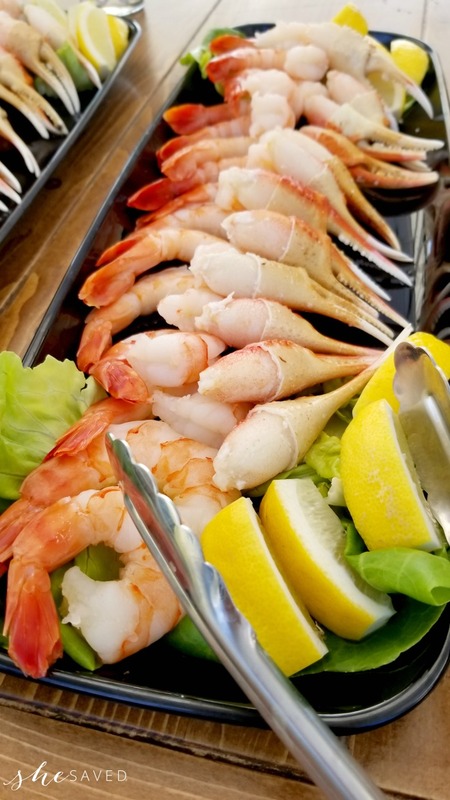 These would be such a neat gift idea for someone with a new baby, a housewarming gift or even a great way to try out Omaha Steaks products for yourself! Please let me know if you have any question about these products, I’d love to take your thoughts and questions back to the brand! « Local Event: Boise Albertsons on Broadway Potato Palooza Going on NOW!